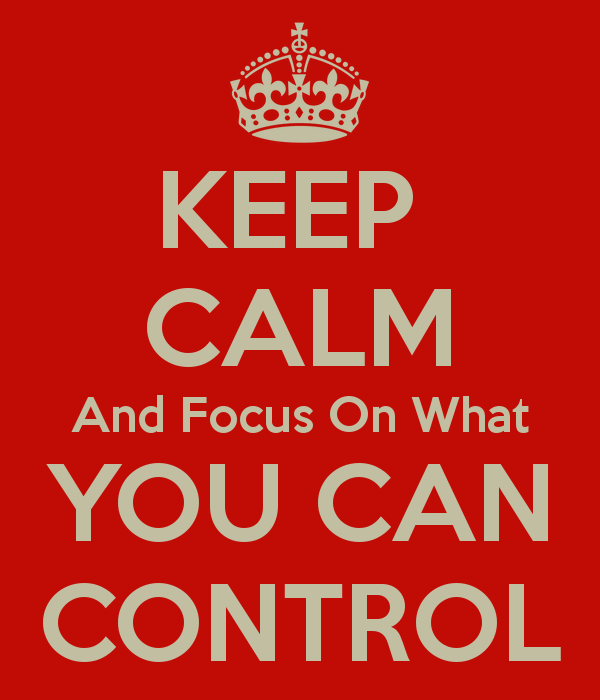 Over the past few weeks, in a significant number of discussions with a variety of people, the concept of “What do you control and what don’t you control” has surfaced. It’s a common challenge for many clients in their day-to-day activities. The battle is the same for business owners trying to figure out how to run their businesses and for individuals in leadership roles trying to figure out how they should be leading. The image that comes to my mind in these discussions is of my virtual mentor, Marshall Goldsmith, raising his hand to his head and with a wave says, “Let it go… let it go…” It seems a bit simplistic to be a viable solution, but really, it simply is true. The question I pose is this: What are some of the things we can’t control? We can’t control the weather — if it’s going to rain, it’s going to rain (or as in currently the case in my fire-ravaged home province, if it’s not going to rain, then it’s not going to rain). We can’t control how someone else is going to act or react in any given situation nor can we control how that situation may unfold. However, we can control our own actions or reactions: what we do to mitigate an event or take action that might set something off. For example I can’t control if a potential client will decide to engage me as his coach, but I can do all that is possible to encourage him to see why I would be the best choice. I do that to the best of my ability, then either he will hire me or he will not. This not to be confused with fatality. The idea is that we do the very best we can, then we don’t necessarily walk away with the desired result, but we do accept that there are things we can control and there are things we can’t. What is going on in your life right now that is controllable and what isn’t and what are you doing about it?